Design for Health’s photo collection on flickr has been expanding recently. Check out the photos through the tag cloud at http://www.flickr.com/photos/designforhealth/tags/. This is a picture of the image cloud–go to the URL above to find the actual clickable tags. Visuals: What Does a Rapid HIA Look Like? This blog has dealt earlier with the logistics of doing an HIA but what does a workshop look like? 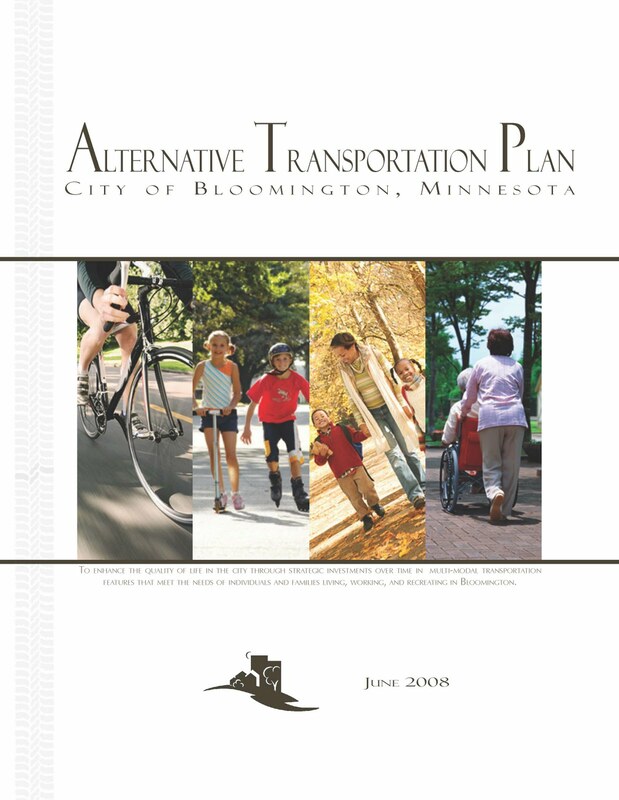 One source is the Arden Hills Healthy City Planning Workshop Summary Report Appendices. 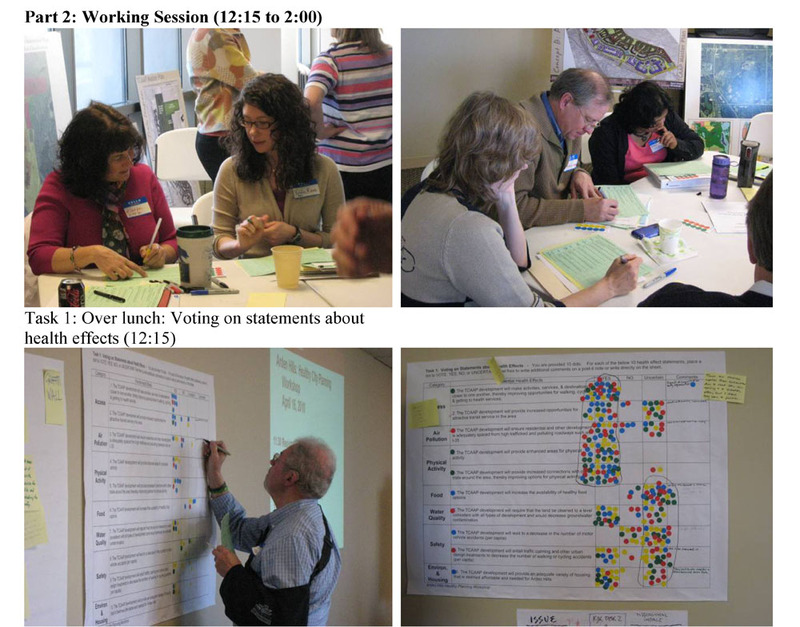 This document contains images of each stage of the half-day workshop. Go to http://designforhealth.net/wp-content/uploads/2012/12/cases/HIA_ArdenHills_Appendices_3June2010.pdf and look at pages 33-36. More information about the process is available at: http://designforhealth.net/cases/ardenhillsworkshop.html. Images from Arden Hills workshop. Photos: Design for Health. Active living, the idea that it’s good to build exercise into daily life, has been big news in planning for a while but I still get questions about how to incorporate active living into plans. A decade ago, when it was a fairly new idea, there was the hope that if we built places where people were more prone to do activities like travel walking, that they’d keep exercising as well, increase their total activity, and reduce weight. It turns out to be a bit more complicated than this as I noted in my blog on high density and overweight adolescents in China. Research is quite mixed in its findings—there’s a lot of variation in how people respond to environments. 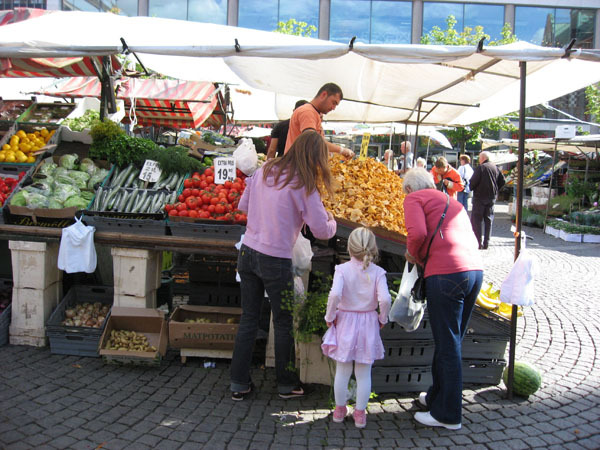 Programs, policies, prices, education, and attitudes all shape how people use environments. But as a bottom line it is useful to provide options for people to be active in different ways so that when they want to do so they can. So how can you help provide options? Several web sites provide case studies of communities have done this work. 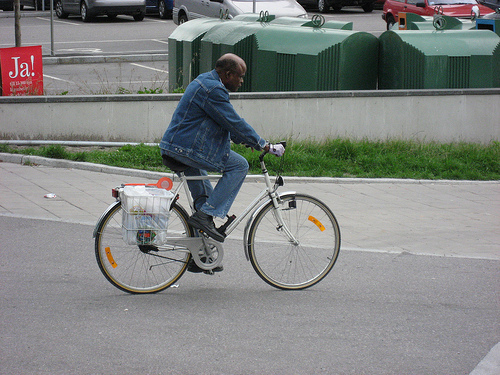 Active Living by Design has been around since 2001 and has a useful web site. 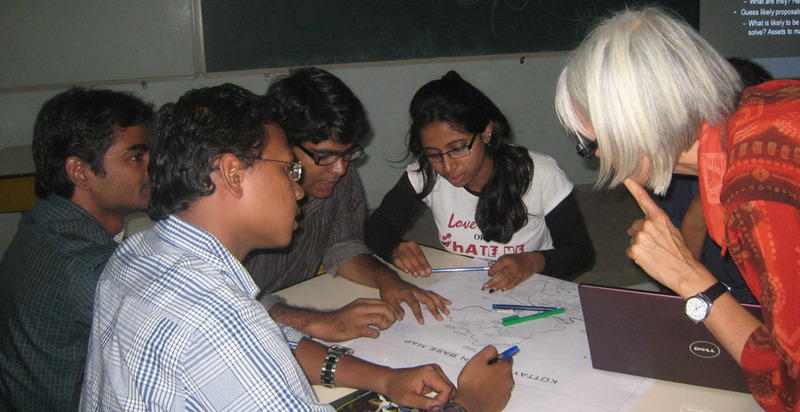 The group has worked with a number of cities and countied and provides case studies linked to an onsite map: http://www.activelivingbydesign.org/communities. Linking health and planning requires learning about (at least) two areas. Public health folks are often confused about planning and planners have a lot to learn about health. There are a number of useful web sites and below I list just a few free guides that can lead you through the maze. 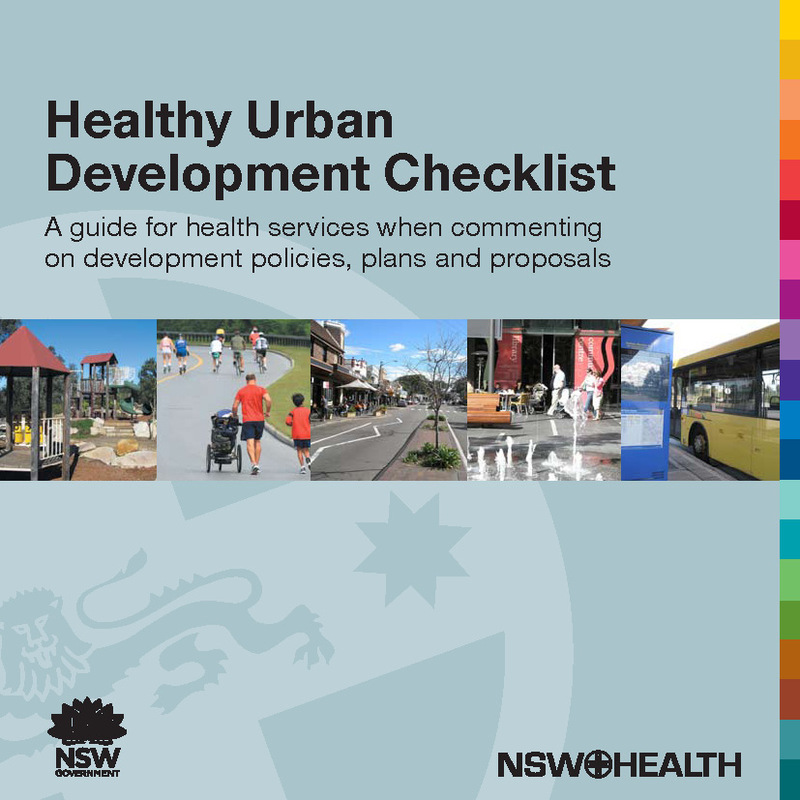 The Healthy Urban Development Checklist: A Guide for Health Services when Commenting on Development Policies, Plans and Proposals introduces public health folks to planning. Developed by the NSW Department of Health in Australia, it will be useful in many other locations. It takes a little while to load but once it’s on screen it provides a useful introduction to health issues and the planning system. It covers a typical range of issues including food, physical activity, housing, transport employment, community safety, open space, social infrastructure, social cohesion, environment, and specific development contexts such as infill. Delivering Healthier Communities in London was developed for the National Health Service London Healthy Development Unit in 2007. Also a bit slow to load, it is organized around key health issues–mental health, cardiovascular disease, respiratory disease, excessive heat and cold, and injuries. 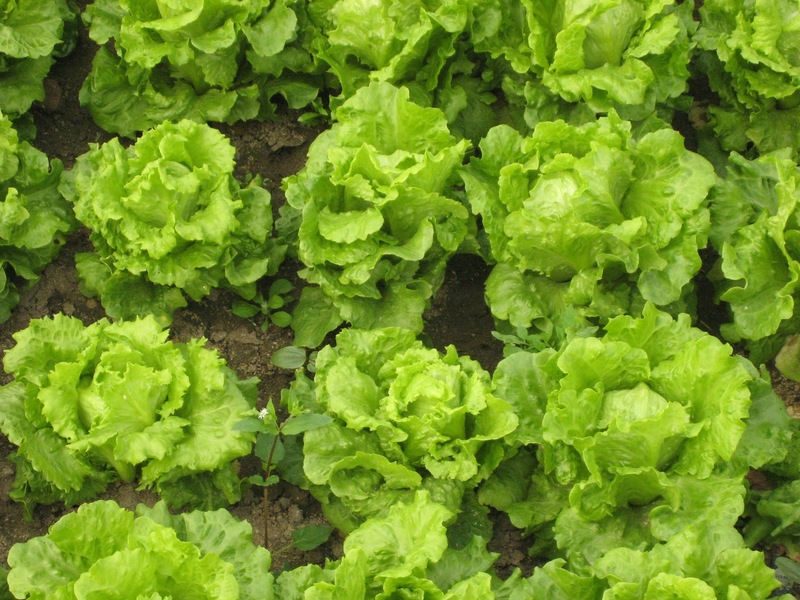 It links each of these the environmental factors. The Design for Health web site comes from the other direction, aimed at informing planners about health. Its health impact assessment tools draw on research summaries and can feed into planning actions. Topics are rather similar to the Healthy Urban Development Checklist (above).